Okay, I’m sorry! Alright? I’m sorry. I’ve been busy. Happy now? Anyway, we had a strange day last Wednesday. When I say strange, I don’t mean inexplicable. It just felt a bit odd. Y’know, kinda weird and hazy. We’d been notified that people would come to the apartment early on Wednesday. They were coming to read the little radiator meters and we were warned they would be early. Although Berlin time is an hour ahead of the UK, there are parts of our life here that still run on UK time. All of our freelance clients are in the UK so we make sure that we’re open for business for UK office hours. That means 10am to 6-7pm Berlin time. As the weeks have gone by, our schedule has slipped. We get up later than we used to and go to bed later too. Of course, we totally forgot about the Radiator Inspectors. When someone buzzed our buzzer at 8am, we were still in deep sleep. There was no time to wipe the sleep from my eyes (or the dried drool from the side of my face). I was up like a shot and speaking bad German like a madman. This rude awakening set the tone for the morning’s work and the rest of the day. Unusually, we’d already granted ourselves an afternoon off. There was a free screening of All God’s Children in Kreuzberg at 8pm. We’d already planned to set off after lunch and take a detour to look round Potsdamer Platz. One of the things I love about Berlin is the ability to stand still, look around and be fascinated. Potsdamer Platz has always been an exception for me. Of course, the history is as interesting as anywhere, it’s just all the development since 1990 – it doesn’t do much for me. It’s not Potsdamer Platz’s fault, it’s a lack of imagination on my part, so exploring Potsdamer Platz has been on our list for while. Before leaving the apartment, we hadn’t had chance to assess the weather. Monday and Tuesday had been chillier and we wouldn’t be coming back until late. I opted for the tough guy option of three layers – I also put a hat and scarf in the bag for later. Seriously, I almost wore my Berlin Coat. We got off the U6 at Stadtmitte and set off down Leipziger Str. It was a lovely day and very warm. Possibly our worst weather/layer miscalculation for a long, long time. I hate carrying unnecassary layers. Potsdamer Bahnhof is pretty impressive. I like the big twin entrance halls/rooves. The Sony Centre leaves me a bit “meh” and thoughts soon turned to where we could grab a bratwurst – we found some on a detour through Arkaden shopping centre. You already know what Arkaden looks like: full of chains and non-independents. From there, we walked to the Neue Nationalgalerie (elegant but looking its age) and then we went further into the Kulturforum. By the time we reached the various embassies, we were flagging. Our ‘early’ morning wake up was taking its toll. It was hot and tall security fences don’t offer a very interactive architectural tourism experience. We wandered into Tiergarten for a sit down. It could’ve been the sun, the heat, the tranquility, the meandering route from Stadtmitte or perhaps our sausages had been spiked, but our foggy, sleepy heads just didn’t want to be upright anymore. We took a park bench each, used our extra layers for pillows and lay down. I dunno, 10-30 minutes later, consciousness returned. I started to hear birds and bikes on gravel. Then I opened my eyes and saw the air was thick with white fluff, a little like dry snow, floating by in bright sunlight. This was the first time I’d appreciated Tiergarten. It’s beautifully lush and easy to find a quiet corner. 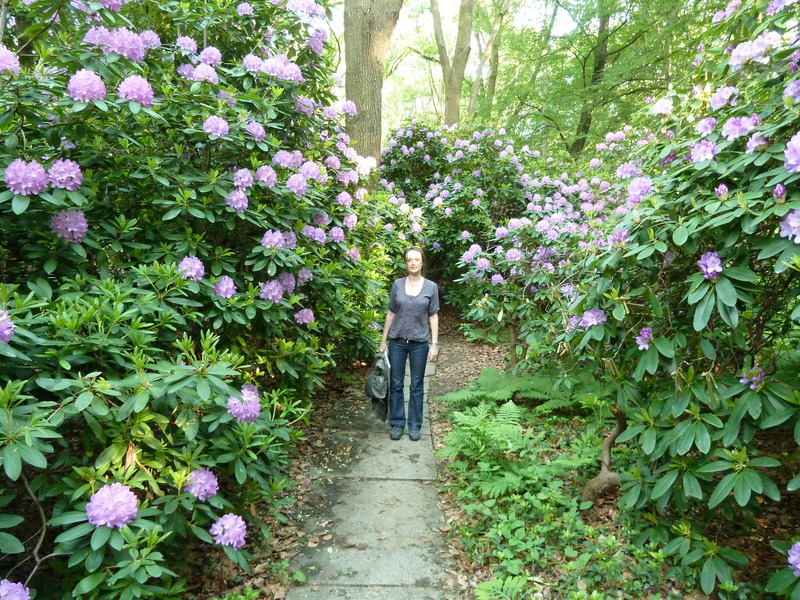 It’s also filled with flowering rhododendron. I know rhodies are ecologically incorrect in lots of environments, but Jeeez! Those MoFos know how to flower. As for the strange white fluff ? Well, it’s been floating around the city right for a couple of weeks. They’re seeds from a tree – I realise this much – but it seems like an amazing case of over-production by nature. Parts of Berlin have been covered in a blight blanket of fluff. Anyway, on leaving the park, we took a look at the Berliner Philharmonie concert hall and the staatsbibliotek – recognising the latter from Wim Wenders’ Der Himmel Uber Berlin/Wings of Desire. The M29 took us to Oranienstr. and we jumped off for something to eat. We spend far too much time wandering and wondering where and what to eat. “What do you fancy?” – “Dunno, I’m not that bothered” – “Me neither.” We do this until we’re ravenous and cranky. Indecision is a problem for us but on this day we went straight for pizza at Oregano. As usual, Kreuzberg was full of people and activity – perfect passive watching on such a nice day – but time was ticking away and we had just 40 minutes to get to the screening. When the busy pizzeria had served several people who ordered after us, we checked on our pizzas. They’d forgotten us. The man who served me looked like he’d never seen me before and was amazed to find my order on the till roll. A refund later, we grabbed a couple of kebaps/kebabs across the road (after a mini-squabble about what to do about food). Then we waited for a bus (that came late) and made the venue by 8:05 – feeling hassled and flustered. As it turned out, the screening started late anyway. We had chance to ask the barman what was going on, partly understand his reply and wait with a beer. We also realised what a nice place Roderich is. All God’s Children is a documentary about child abuse in missionary schools. It’s very well made, a gruesome topic but with excellent interviews. It’s a very solid production – so solid, in fact that you forget about production values and watch. Hat’s off to Good Hard Working People for such a good job. At the end of the film, we bumped into uBerlin and thanked them for posting details of the screening on twitter. We stopped for a drink on the way home. It was a chance to talk about the film and assess the day. 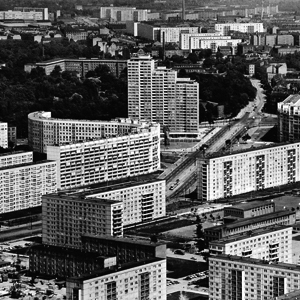 Memories of Potsdamer Platz were kinda distant – it’s a strangely sterile place. Tiergarten was a highlight, for sure. The hassle about food and busses seemed a disproportionate. We couldn’t understand how such a chilled day became stressful just before the film. Perhaps we just need to take it easy, we thought? Maybe we need to relax more? We reminded ourelves that we are our own bosses nowadays. We can decide the pace of things now, so we made a resolution to be less intense. This entry was posted on 25/05/2011 by hawkinsian in film, Uncategorized.